About diamond microdermabrasion: An esthetician moves a pen-like wand gently over your face in short, quick strokes. The Diamond tipped device uses super-fine diamonds in an effort to break up dull, dead skin cells. Appointment required. Limit 1 per person, may buy 1 additional as gift(s). May be repurchased every 180 days. Limit 1 per visit. Valid only for option purchased. Not valid for clients active within the past 12 month(s). All goods or services must be used by the same person. Merchant's standard cancellation policy applies (any fees not to exceed voucher price). 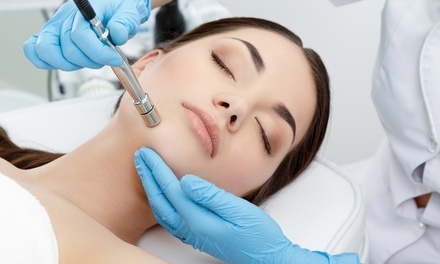 30-Minute Microdermabrasion Sessions at Fresh Face Skincare And Laser (Up to 55% Off). Three Options Available.